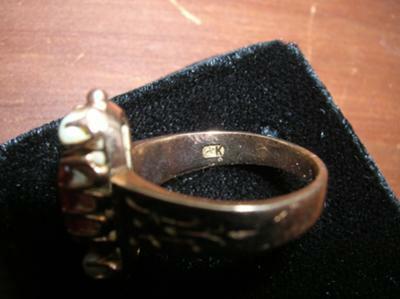 I'm wondering about a hallmark on a ring as described above: Anchor tipped to right and letter (uppercase) K next to it. There are cultured pearls and an orange/red crafted stone. The other symbols appear to be Egyptian ? Any ideas or suggesstions would be appreciated.